After last week's 90s Pop Music playlist, I decided to get back to my real roots and create a playlist with a collection of some of the best rock songs of the late 90s. This playlist has some of my favorite artists from the 90s, and these bands are the reason I first became interested in music in general. I tried to go with more of these band's more popular and familiar songs but I plan on creating a few more of these playlists, where I dig a little deeper into the genre. My favorite from this playlist has to be "Push" by Matchbox Twenty, one of the best songs of any genre from the 90s. The opening to "Push" never fails to bring chills down my spine. Fortunately, this is not the only great song on this playlist. All of these artists have proved their worth over the years, and these songs only sample their excellence. After a two month hiatus, RizzoMusic is back and today I have something to report back from my summer travels. This summer I spent some time in the Big Apple, New York City. Over two months, and I only managed to get to one concert. Luckily for me it was a great one. I saw Collective Soul and Live play at the Hammerstein Ballroom on July 30th. This wouldn’t be the first time I’ve seen these bands live in concert but it was surely a concert I would never forget. Fortunately for me, I was able to go for free. RizzoMusic’s first sponsor, RazorGator.com, was able to provide me with enough funds to go to a concert of my choice, free of charge. It was too good of a deal for me to pass up. After much debate I decided on Live and Collective Soul, two bands that I have seen before individually and together. Having a great respect of their newest releases, Songs from Black Mountain, and Afterwords, respectively, I knew that it would be a great show. First I am going to give a little review of RazorGator’s services before I get into actually reviewing the concert. RazorGator is a ticket marketplace where anyone can post extra tickets they have for other people to buy. Their slogan is “Your Connection for Hard-to-Get® Tickets!” and unfortunately for me, the Collective Soul tickets weren’t exactly hard to get. The tickets were not sold out and retailed for about 50 dollars. The cheapest I was able to come across were 74 dollars. Not too bad but considering that you could still buy them from the box office for cheaper, there wasn’t much incentive to buy from RazorGator. RazorGator does charge for shipping and processing fees, so my total was $189.30. So for this particular concert, I can’t really say that I would recommend using RazorGator but if a concert or sporting event is sold out, they are a very good option. I ordered my tickets 2 days before the concert and they were shipped and delivered in time. One little caveat for people looking to use RazorGator’s services is that you need to be able to sign for the tickets when they come to your house. Luckily where I was living, we had a doorman so it wasn’t a problem but I could see where this could become problematic. They do give you the shipping tracking number so you can figure out about what time the package will come and I can understand RazorGator’s position in requiring a signature. They guarantee the tickets to be there on time for the event and a signature requirement ensures that the tickets were received. The process was very smooth, and overall I was happy with their service. They accept all major credit cards and everything is shipped FedEx. I even called their customer service number, and the man I talked to was very helpful. I would recommend the website for sold out concert tickets or if you’re looking for closer seats then are available. The Hammerstein Ballroom had balcony seats but I was cool with the general admission floor tickets. You can get a lot closer and everyone down there gets really into it. Alright, now that you know how I got to the concert, I am sure you are all dying to hear how the concert was. In case you were living in a cellar throughout the 90s, Live and Collective Soul were two of the most popular rock bands of the decade. Each have had their fair share of chart topping hits, combining sales of about 20 million records in the U.S. 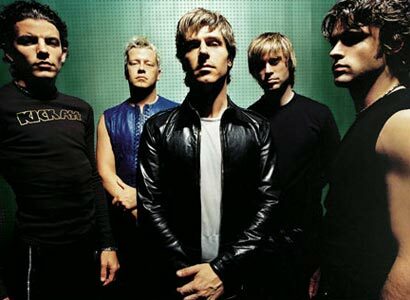 While Live has sold more records, Collective Soul has had more #1 singles on the Billboard Mainstream Rock chart. The concert opened with an up and coming female artist, Hana Pestle. A singer/songwriter from Montana, Pestle was a surprisingly good addition to what was sure to be a great concert. 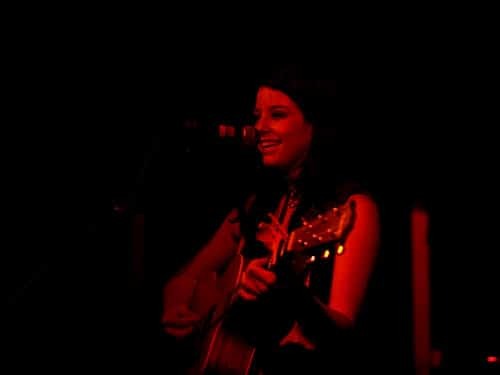 Coming on stage with only an acoustic guitar, she impressed the audience with her entrancing voice. She has some serious range, and her songs were very good. I was a little disappointed when I heard that Blues Traveler, famous for “Hook” and “Run Around”, wasn’t going to open up for this concert like they have been in the past but Hana Pestle, more then made up for their void. Like most opening acts, the crowd wasn’t really into it like they were for the main act but you could tell that some were pleasantly surprised by her performance. She was upbeat and talkative, though you could tell that she felt that crowd was unresponsive. She covered the song “Creep” by Radiohead before she left the stage and the audience finally welcomed her with a rousing applause. She has the voice to make it in the business and I wouldn’t be surprised if she breaks though sooner, rather then later. Next up was Ed Roland and company. They got the crowd going by opening up with “Heavy” and never looked back. They played the usual classics, like “Shine”, “Run”, “The World I Know”, and “December”. I’ve seen them 3 times in the last three years and they never fail to play the songs that the crowd wants to hear. Since it was a shortened set because they were sharing time with Live, they only played two of their songs from their new album, the two singles, “Hollywood” and “All That I Know”. They also played one of my favorite songs to hear live, “Listen”, one of their more underrated songs. Much to my delight, they pulled one of their best songs out of the archive for this tour, “Needs”. I’ve been hoping and hoping that they would play it live one of these days and I finally got to hear it. The crowd loved it and it sounded great even without the strings. Ed gave his usual energetic performance and had everyone singing along. After about a 30 minute intermission to get things set up, Live came out and “the other Ed”, Ed Kowalczyk, got the crowd roaring with the opening song, “Simple Creed”. Like Collective Soul, Live never seems to disappoint on the classics. They turned out “All Over You”, “Heaven”, “Dolphins Cry”, “Selling the Drama”, “I Alone”, and of course “Lightning Crashes”. They ended with their bone-chilling performance of “Lightning Crashes” like they normally do but I think that their performance of “I Alone” is even better. Hearing that song live in concert is something that everyone should see before they die. They played some of the new ones including, “The River”, “Wings” and “Sophia”. Like “Needs” for Collective Soul, I was very surprised to hear “Turn My Head”; easily my favorite lesser known hit from Live. Hearing those two gems that night was well worth the ticket price. They played an awesome four song encore. Not quite the seven song encore I was able to see a few years back when they played without an opening act but very good nonetheless. Overall, it was one of the best concerts I’ve ever been to. It was about 5 times better then the last time I saw them together in concert, mainly because it was an indoor, intimate concert. The crowd was great, the bands were great and having the equivalent of about a 4th row floor seat was amazing. Rock concerts always tend to be better when there is standing room right in front of the stage. Unfortunately I don’t have any picture as I forgot my camera but if you would like to see some, Pop Culture Madness also reviewed the concert and took a few pictures. I hope you enjoyed the review and hopefully there will be a lot of new articles in the near future. Thanks for listening. 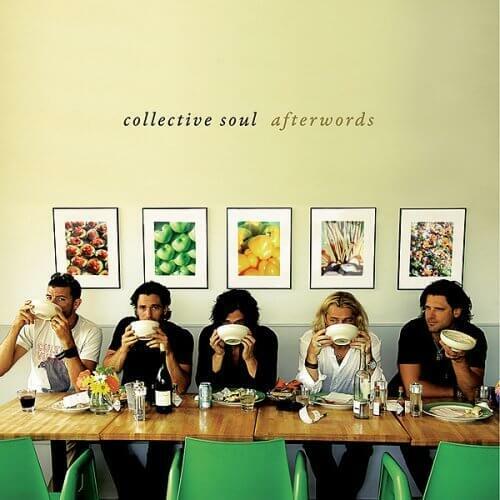 Collective Soul's new album Afterwords was released on August 28th on Itunes and at Target. Unfortunately for me, my digital music store of choice, Rhapsody, does not have the new album. So I just decided to listen to the new album in it's entirety at CollectiveSoul.com where if you click on the boom box on the table in the group picture you can control each track. I was thinking of buying the album at Target but the listing on Target.com says that the album is 31.98 and will be released September 5th. You would think that if a great band like Collective Soul provided you with an exclusive opportunity to sell their new album that they wouldn't mess it up this badly. Hopefully they recognize their mistake soon and fix it before they lose out on potential sales. This is the first album I have reviewed in a while but I decided that anything by Collective Soul is worth reviewing and at the very least giving a listen to. The album has eleven new tracks including their newest single, "Hollywood". 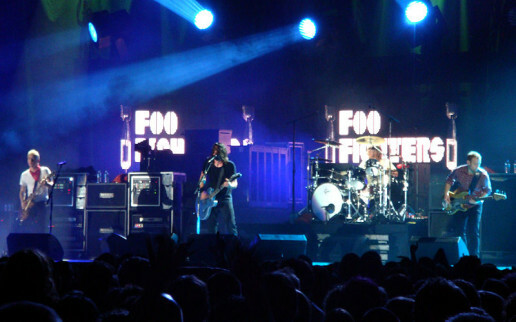 The run time for the album comes in at just over 40 mins, a fairly short album with an average song time of about 3:40. 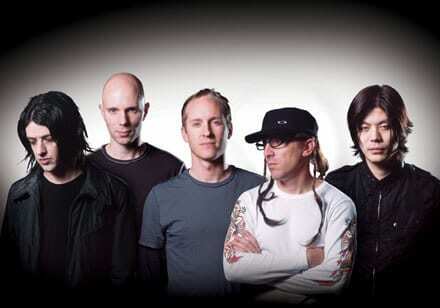 This is their first studio album since Youth was released in November of 2004. The album kicks off with "New Vibration", a song with that classic Collective Soul sound, a solid guitar riff and Ed's signature voice. Should become a concert favorite similar to "Counting The Days" was on their last few tours. The next song is one of my all time favorites from Collective Soul, "What I Can Give You". It was one of those songs for me that I just had to listen to it over and over, and made it pretty tough for me to get through the whole album so that I could review it. It doesn't quite have the epic sound of "Run" or "The World I Know" but it comes pretty close. It is tough to follow that up but the album continues with "Never Here Alone", a fun song with an upbeat tempo and a message of putting the pain of yesterday behind you and looking forward to the future. Next up is "Bearing Witness", also one of my favorites from this album. They slow it down a little bit and create a great love song that is not for everyone. The great thing about Collective Soul is that it is a band that draws in all kinds of fans with their broad range of appeal. They attract fans of hard rock with songs like "Where The River Flows" and "Heavy" and the more soft rock fans with "Needs" and "Run". The Fifth track, "All That I Know" was one of the songs that they played when I went to their last concert. It really is a great concert song and they had the whole crowd singing the "Do Do Do Doot Doot Doot Doot Doot Doot Doot Doot Doot Doot Doot Doot Do". It a memorable song that can put a smile on your face every time you hear it. "I Don't Need Anymore Friends" is the next track and a unique one at that. Front man Ed Roland takes a back seat on this track as lead guitarist Joel Kosche sings his heart out. The song itself isn't anything mind blowing but Joel does a good job taking on the lead vocal job. Placed in the middle of the album it gives the album as a whole a nice break and welcome change for any Collective Soul fan. The seventh track, "Good Morning After All", is the longest one on the album coming in at 4:23. This song about God and hope is a nice addition to the album. Yes, you guessed it. "Hollywood", the eighth song on the album is next. It's one of those made for radio songs that they really did a good job on. It's catchy and sure to be a crowd-pleaser just as "Better Now" was for "Youth". With only three songs left on the album, they give you one more foot tapper, head nodding, song before the slow it down with the last two songs. "Persuasion Of You" has a nice chorus but probably my least favorite song on the album. It's not a song that I would skip over but I think that the verses just fall a little flat. They bounce back with "Georgia Girl", a song where everything just seems to fit perfectly together. They add the sweet sounds of the piano in this one and it reminds me of how well the violins fit into "Needs". They finish out the new album with "Adored", a great song to finish off a far from disappointing album. A beautifully written love song is the way that all good albums should end and this album did just that. To be honest, I wasn't really sure what to expect from this album. I got a taste of it at their concert this summer but wasn't sure if Collective Soul still had it in them to put out another solid album. Clearly, I should not of doubted them as they made a great album that, if I ever make it out to Target, I will surely pick up. Undoubtedly, I had my favorites in this album but I have to give them a lot of credit for making 11 more than solid songs. I have a feeling that a lot of these songs will grow on me the more I listen to it. It is clear that Collective Soul has been on the decline as far as mainstream popularity but I hope that all fans of this band give this album a chance because I can't see how you could be disappointed by an impressive effort like this. I give "Afterwords" four stars out of five and hope that you give it a listen. Thanks for reading the review and hope you liked it. 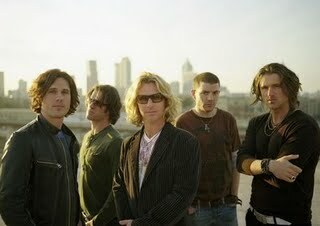 Collective Soul's New Album "Afterwords"
Collective Soul is still alive and kicking. 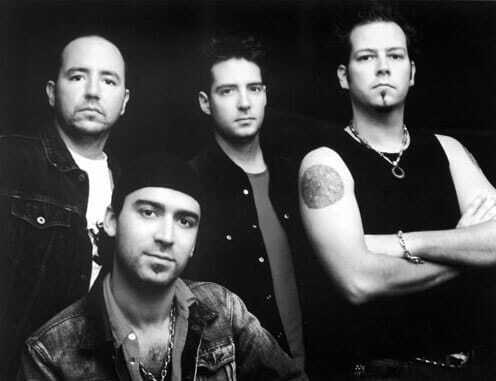 One of the most popular rock bands of the 90s, they scored big hits with "Shine", "Heavy", "Run", "The World I Know", "Precious Declaration", and "December". They have recently released their new single, "Hollywood", which is now available for download on Itunes. They also revamped their website at www.collectivesoul.com where you can listen to the new single for free. The website is looking a lot more professional then their previous one and it is a lot easier to navigate. They are currently on tour with Live and Counting Crows promoting their new single as well as their new album, "Afterwords", to be released this month on the 28th. At their shows they are giving out music download cards to the first 300 attendees for the opportunity to download "Hollywood" for free. I had a chance to hear Collective Soul in concert with Live this summer and they were outstanding. They played some of their new album and it sounded pretty good. I am a pretty big fan of "Hollywood" and hopefully it will get some play time on the radio this fall. As soon as more information on the rest of the album becomes available I will be sure to let you know. So apparently they never made a music video for this single, or its just not easily found on the internet. In any case here is a live session of the song.